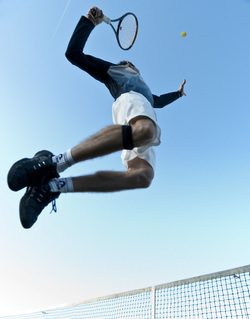 Pro Coach London is a one stop shop for tennis players and clubs looking for Professional Tennis Coaches in London. We provide professional Tennis coaches in the London area who can train you to the peak of your fitness, train you in the latest skill and techniques and provide you with drills and one on one tennis coaching to maximize your team and individuals performances when on the tennis court. Whether you are new , beginner or experienced tennis player our Pro Coaches and instructors can help you and your tennis club achieve their goals, improvements and on and off the tennis court. Pro Tennis Coach London can provide professional tennis coaches and trainers in your area for a wide range of sports and disciplines. Our Pro Tennis Coaches will tailor a personal fitness regime and sports skills and drills to optimise and get you the best performances in your chosen sport, including. Our Tennis Coaches and Personal Trainers are chosen from a competitive selection process that includes C.V., interview and previous client testimonials, recommendations and referrals. We make sure we get the best Professional Coaches in London so you are coached and trained by the best. Get into shape and improve your overall health and well being. Our Personal Fitness Coaches in London who will push you to achieve your fitness goals in the manner and time frame needed. All our training session are tailored to each individuals current fitness levels and aimed at achieving your personal goals within your time frame. Our Tennis Trainers and Coaches use unique exercises and training methods designed to optimize your energy loss and maximize results fast, with a fitness and nutrition program adapted to your individual needs. Specialising in fat loss, weight loss and body reconditioning, our personal training program is ideal for everyone from Pre and Post Natal mothers to over-stressed executives and those just wanting to get into shape. Our Personal Fitness Trainers in London are chosen from a competitive selection process that includes C.V., interview and previous client testimonials, recommendations and referrals. We make sure we get the best personal fitness trainers in London so you are trained by the best.